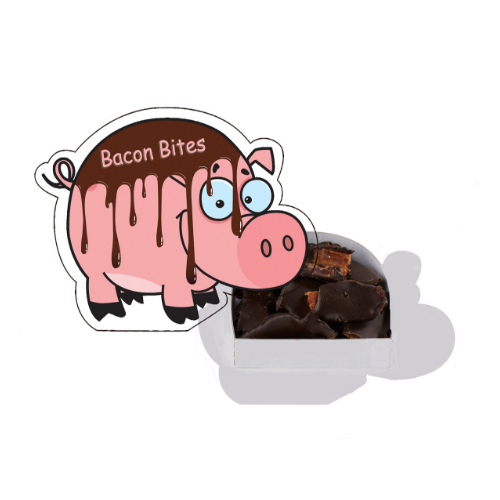 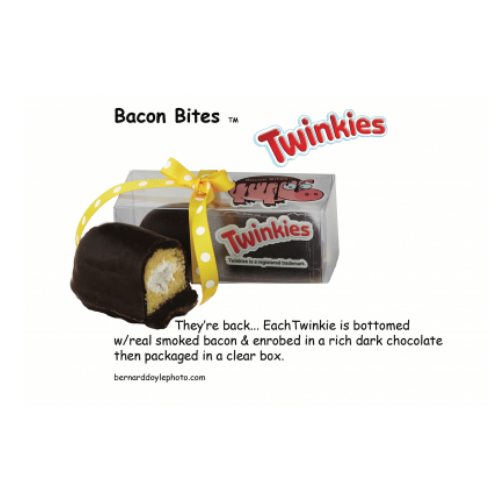 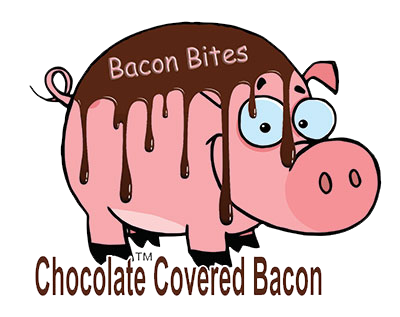 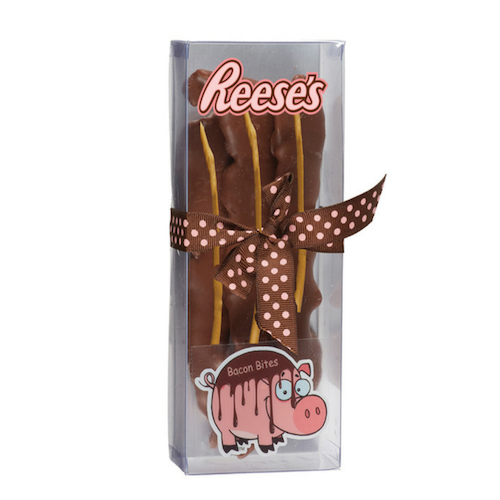 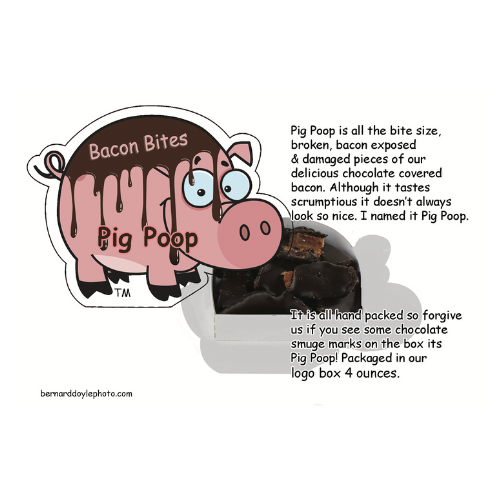 Creamy Milk Chocolate Covered Bacon and Pin Striped with Peanut Butter Chocolate. 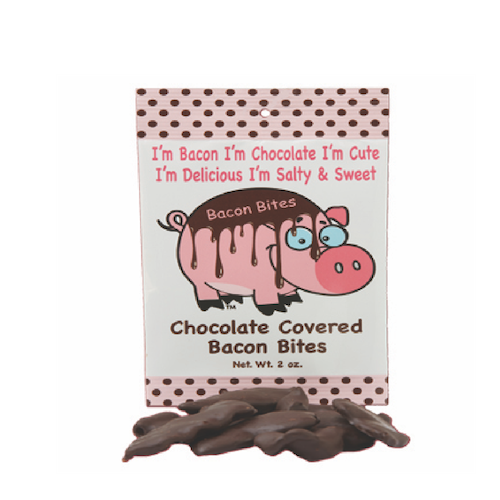 This is our Version of Reese’s. 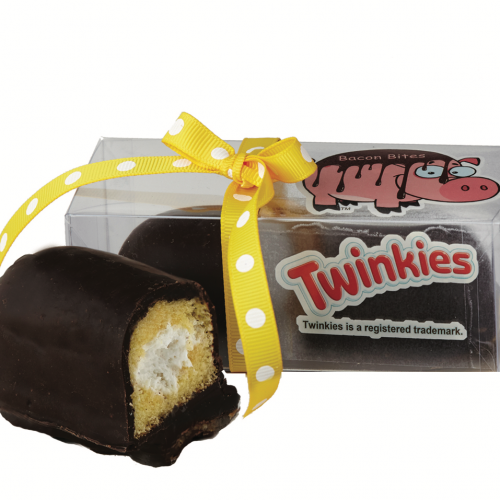 Packaged in a Clear 4 ounce Box.